Zabriskie Point is a section of Death Valley National Park (in the United States) noted for its erosional landscape. The terrain is referred to as badlands because it is very difficult to grow plants there. 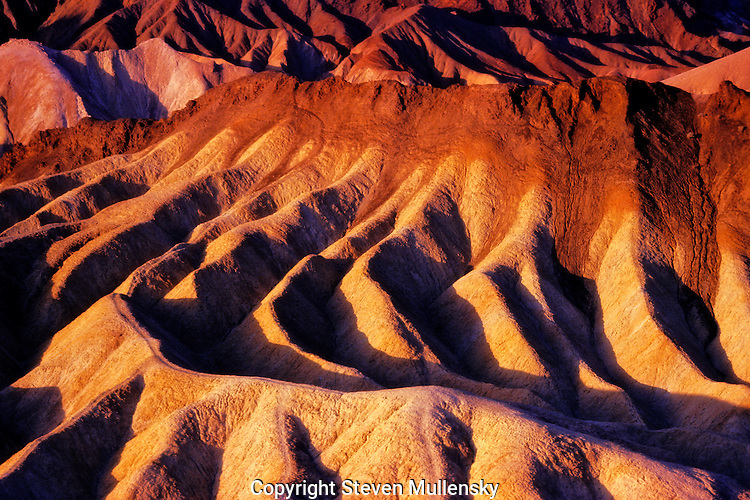 It is composed of sediments from Furnace Creek Lake, which dried up 5 million years ago ? long before Death Valley came into existence. The landscape is in danger of being eroded away due to a nearby diversion of a water channel. he name Zabriskie comes from Christian Brevoort Zabriskie, who in the early 20th century was the vice-president and general manager of the Pacific Coast Borax Company, whose famous Twenty mule teams were used to transport borax from the company's mining operations in Death Valley.